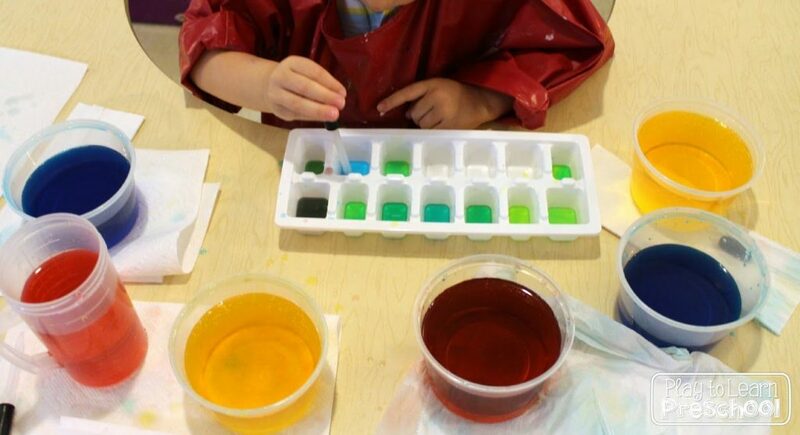 Mixing colors and exploring color theory is a learning activity that never gets old. 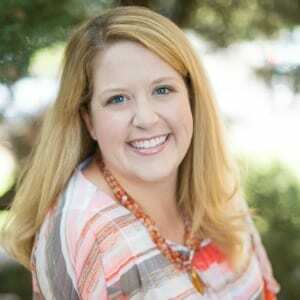 It is simple enough for preschoolers and exciting enough for older kids. 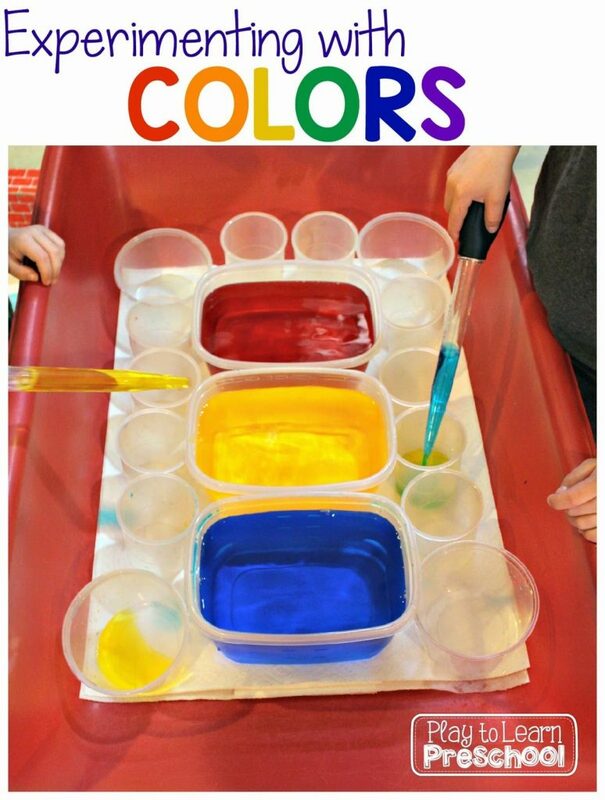 To set up this invitation to play, I provided bowls of primary colored water (red, yellow and blue), empty ice cube trays and small plastic eye droppers. 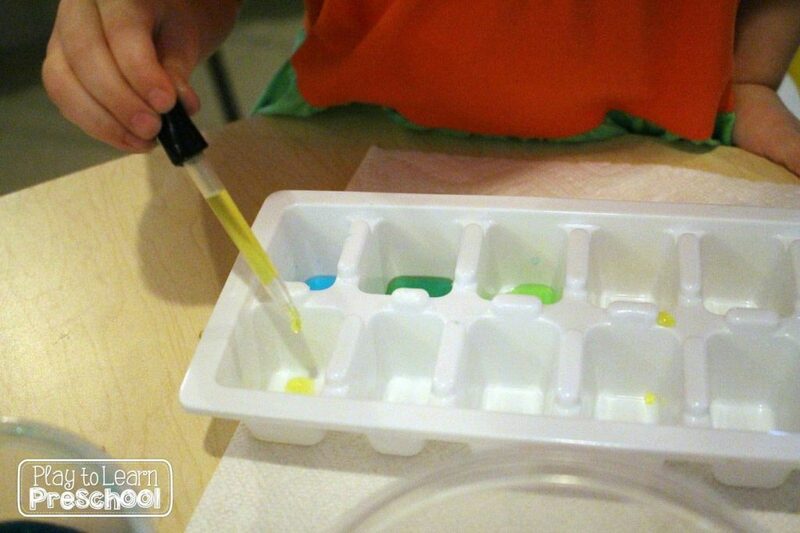 We have used eye droppers for other projects so the students are familiar with them. They are a terrific way to strengthen hand muscles and improve the pincer grasp. It always excites the kids to see the new colors that they can make. 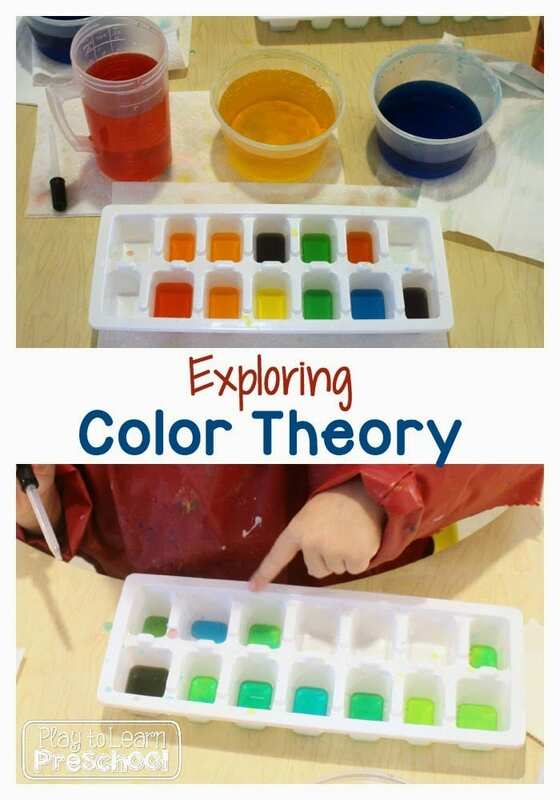 Enjoy this little video of a student exploring color theory. You can read more about Color Theory Experiments on this Primary Pack post. Have fun playing and learning with your children today.